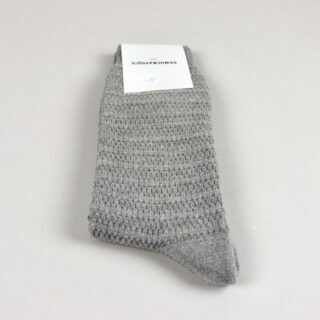 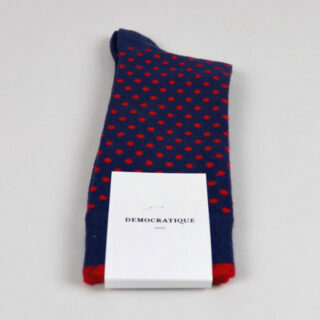 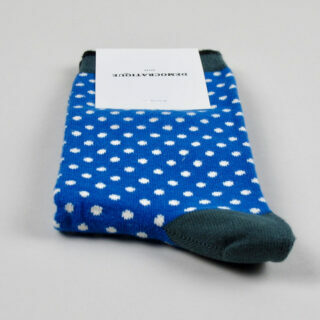 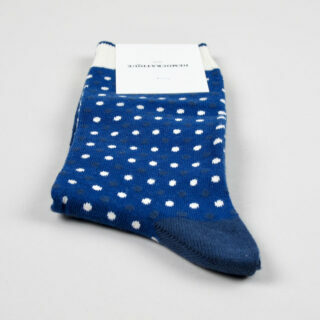 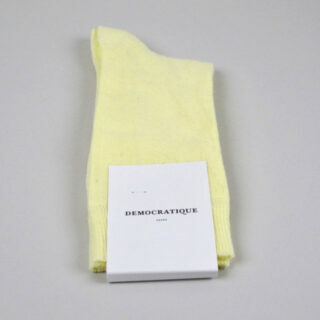 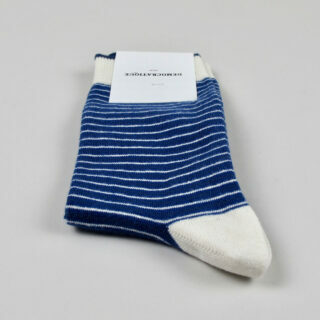 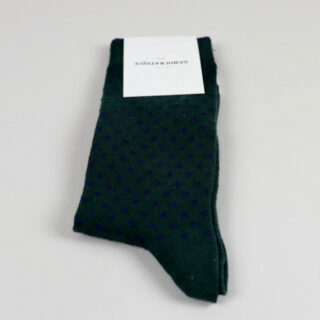 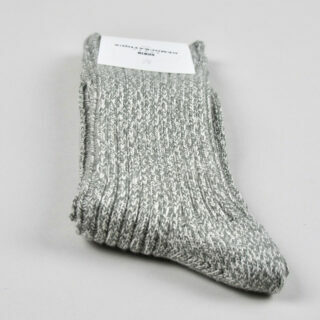 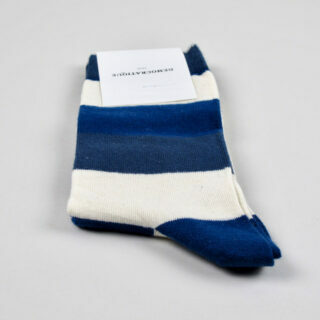 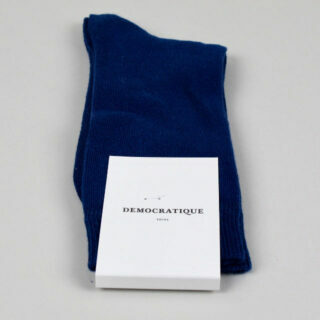 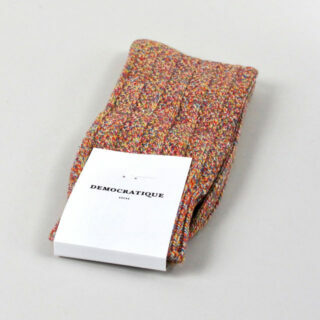 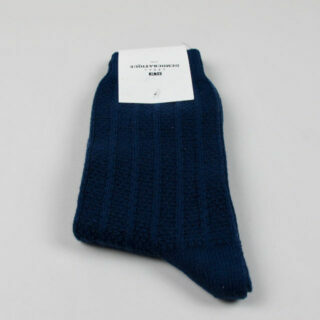 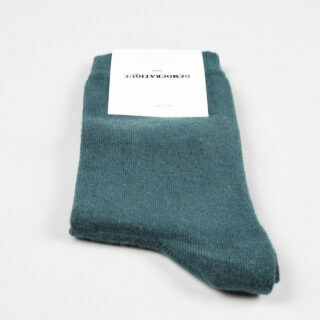 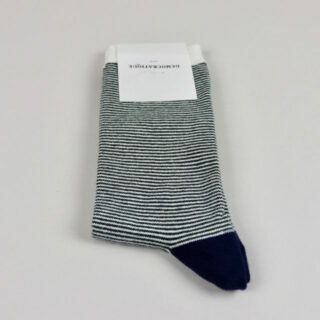 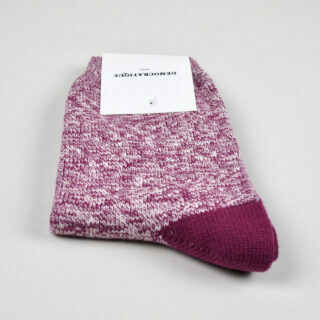 These men’s socks are from the autumn/winter 18/19 collection by the Danish sock brand Democratique. 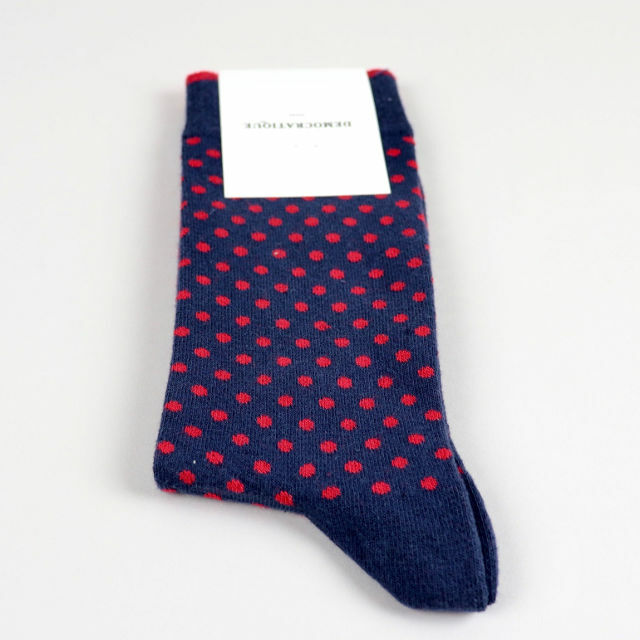 They heel of the sock is shaded blue and the toe of the sock is a off white with the rest of the sock having pearl red polka dots on a shaded blue background. 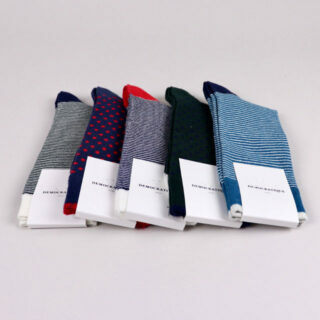 Made to fit a broad range of men’s feet sizing; 41-46 equates to 7.5 – 11.5 in UK sizes. 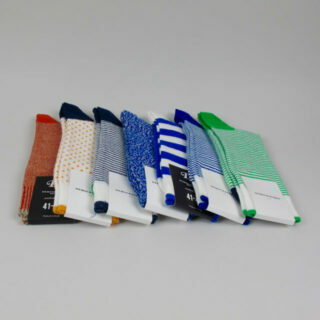 Made in Turkey the socks are smart enough to wear with a formal shoe and casual enough to be worn with a pair of trainers.